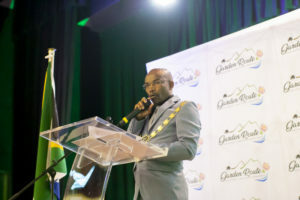 The Garden Route District Municipality (GRDM), with its Head Office in George, strives toward rendering a dynamic and effective service to the community under its jurisdiction. As an Employment Equity Employer, GRDM offer careers to appropriately qualified and experienced individuals. Please indicate the name of the vacancy which you are applying for on your cover letter and application form. A separate application is required for each vacancy you apply for. All applications are considered in terms of the Employment Equity Act and GRDM’s Employment Equity Plan. Applications will not be acknowledged in writing and copies of supporting documents will not be returned. Download, print and complete the following Career Application Form. Completed application forms, accompanied by a comprehensive CV and certified copies of qualifications and your driver’s licence(s), have to be posted or hand-delivered to Garden Route District Municipality. Hand-Delivered to the Garden Route District Municipality Head Office, 54 York Street, George.